Domino’s Pizza Malaysia plans to invest RM15 million to open 30 new outlets next year as part of the company’s expansion programme. According to multiple media reports which quoted Domino’s Pizza Malaysia and Singapore operations senior GM Shamsul Amree, the pizza chain will expand into Sabah and Sarawak in 2018, particularly Kota Kinabalu and Kuching. According to Amree, Domino’s 2018 expansion plan will focus on smaller towns in the country, while growing its existing online business concurrently. He added that half of the sales were conducted at Domino’s outlets while the rest were via its online platform. Earlier this year, Domino’s announced that it plans to expand to 300 outlets in Malaysia by 2020, as well as adopt an e-commerce, technology-centric approach to reach out to larger number of consumers. A+M has reached out to Domino’s for comment. The announcement follows the latest launch of its “Cheese Tarik Crust”, kicking off promotional efforts with the “Cheese Tarik Challenge” social media contest. 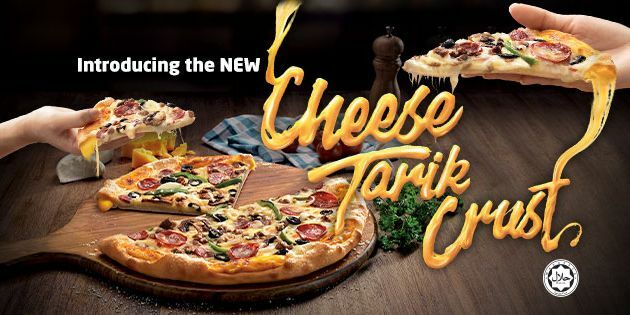 The contest encourages Malaysians to demonstrate how long they can creatively “tarik” (stretch) the new Domino’s cheese crust, and will run from 27 November until 24 December 2017. Domino’s is not the only fast-food chain with expansion plans. In July this year, McDonald’s Malaysia said it will fork out RM1.4 billion on its latest expansion plan to increase to 450 outlets nationwide by 2025. The local fast-food chain currently has 262 restaurants nationwide. Earlier this year, QSR Brands also announced plans to expand its KFC business in Malaysia with an additional 30 new outlets by the end of 2017. ONYX Hospitality Group has entered an agreement with UK-based YOO Hotels & Resorts to manage and further develop YOO Collection an.. Snack brand Twisties has launched a music platform called the Traxxobeats on its official website, in a search for wacky tracks fo..